You're probably expecting a limousine rental to be impossibly expensive, right? If so, we're happy to tell you that you're certainly wrong with your assumptions! When you choose Limousine San Antonio, you're choosing to save money with a high quality limousine rental. Many of our clients are concerned with the affordability of our limousine services, and we certainly can empathize. We understand that you don't want to spend a dollar more than what you have to, and you'll find that a limousine rental from Limousine San Antonio is extremely affordable! We base our pricing on many different variables, which allows you to get a rate that's completely custom to your event at hand, saving you money! This is why Limousine San Antonio is always the best choice when it comes to professional transportation in the San Antonio area. The information on the right side of the page shows you all of the things we'll need to know to give you an accurate, efficient quote for a night in our impressive limousines. 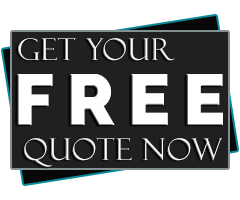 These questions give us the information we need and allows us to send you on your way with a quote that includes absolutely everything, so you'll never waste any of your precious time. We take pride in our affordable pricing, as we don't give up quality of service to bring you a lower price. You won't want to choose anybody else for a night of professional transportation, and that's a fact. Give us a phone call when you're ready to reserve your vehicle, as we're on the phones around the clock for your benefit.